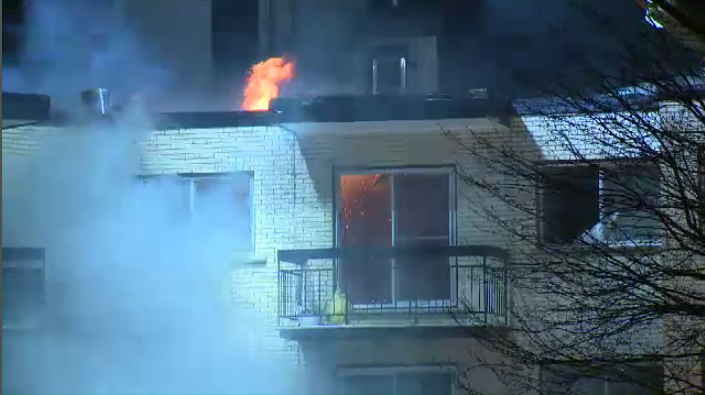 It was a sleepless night for Montreal firefighters, who battled two overnight fires in the Montreal area. 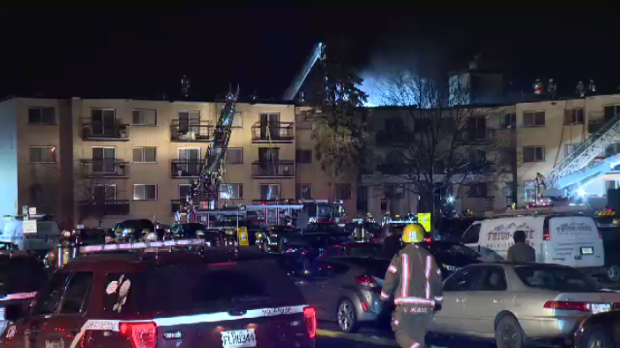 A five-alarm fire took place Monday evening at an 200-unit apartment building in Pierrefonds. The Montreal fire department initially tweeted about the blaze at 6:17 p.m., when it was a first-alarm fire. Within a half hour, they had upgraded it to a general-alarm fire. The fire quickly spread to multiple units in the three-storey building, said a witness. 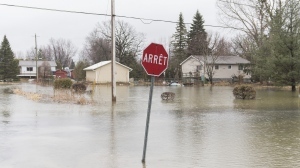 Montreal police were called in to assist with the evacuation of displaced tenants, who were later taken into the care of the Red Cross. At least one person was treated on-scene for smoke inhalation; no other significant injuries were reported. 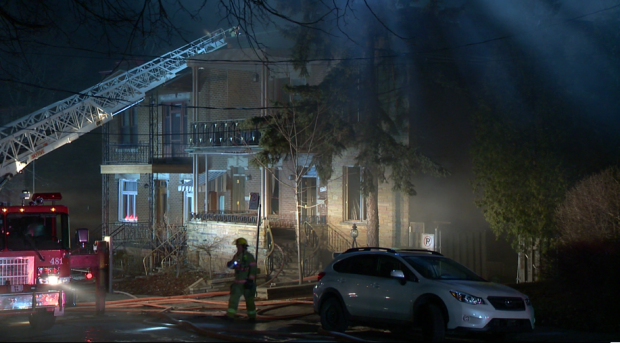 A few hours later, around 2:30 a.m. Tuesday morning, a fire broke out in the driveway of a residence on Lacombe Ave. in Cote-des-Neiges. The flames quickly spread to an adjacent duplex, causing major damage to the structure. An SPVM spokesperson said no one was injured. However, a preliminary analysis of the scene turned up traces of accelerant. The SPVM's arson squad has opened an investigation.